This is why I love commission work! It allows me paint subjects that I otherwise wouldn't, and gives me the honor and the priveldge of bringing your thoughts and ideas to life. I take on several commissions a year from pet and home portraits, to special mantel pieces, to nursery pieces and anything else you can imagine. 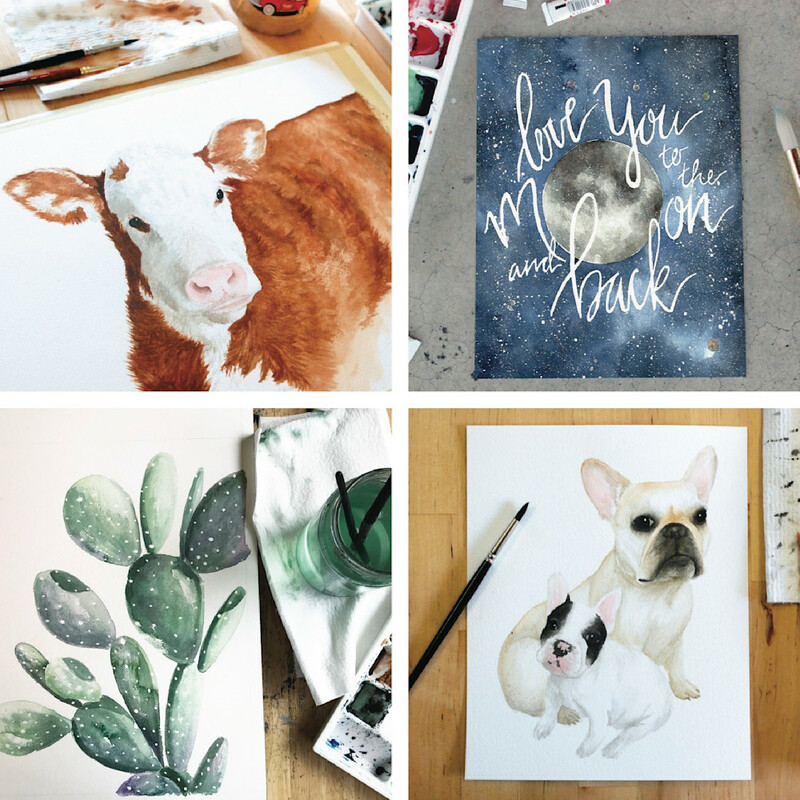 If you have a vision for a painting or a gift idea for a loved one, I would love to chat more! Fill out the form below and I will get back to you with pricing and a timeline for the project. Please describe what you have in mind for your custom watercolor painting. Please keep in mind that I receive several commission request per month and generally have a waiting list a few months out. If your commission is time sensitive, please don't be discouraged to submit a request. I try to work with all of my clients as best I can and will accomodate your painting, if possible. Thank you for your request and for trusting me with your vision!